Our Bishop - Holy Cross Orthodox Church has not. About His Grace, the Right Reverend Thomas (Joseph), bishop of the Antiochian Archdiocese of North America, serving in the Diocese of Charleston, Oakland and the Mid-Atlantic. His Grace, the Right Reverend Thomas (Joseph) is a bishop of the Antiochian Archdiocese of North America, serving in the Diocese of Charleston, Oakland and the Mid-Atlantic. In 1984, Metr. Philip assigned him to St. George Church in Houston, Texas, where he served as Director of Christian Education and Youth Services. While in Texas, the Archdiocese also assigned him to oversee Christian Education and then later teen activities for the churches in the Southwest Region (now the Diocese of Wichita and Mid-America). In July of 1988 Thomas was ordained to the diaconate by ArchbishopMichael (Shaheen) of Toledo. Bp. Thomas was enthroned as Bishop of Oakland and the East at St. George Cathedral in Pittsburgh (Borough of Oakland), Pennsylvania, on May 6, 2005. In August of 2006, Bp. Thomas was awarded a Doctorate in Education from California Coast University. His Grace also sits on the editorial board of the journal Christian Bioethics, which is published by Oxford University Press. His Grace is also the author of several published articles, including Training Up a Child: Educational Options for Orthodox Christians and An Orthodox University: Higher Education for Orthodox Christians. He also co-authored The Emergence of Local Orthodox Christian Societies in America. In addition to his duties in the Diocese of the Mid-Atlantic, Bp. Thomas also served as the locum tenens of the Diocese of Toledo and the Midwest from December 2010 to December 2011. 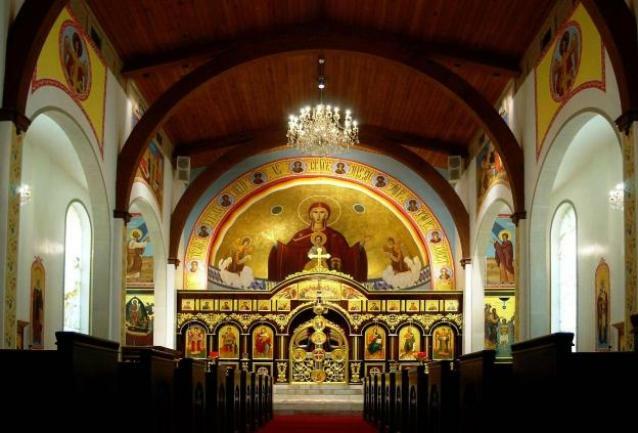 Within the Archdiocese, His Grace assists Metropolitan Philip in overseeing the Antiochian Village, the Christian Education Department, the Youth Department and the Antiochian House of Studies. Since 2011, he has also chaired the Committee for Youth of the Assembly of Canonical Orthodox Bishops of North and Central America. Bishop Thomas's namesday is October 6 (Thomas the Apostle of the Twelve).